NetEnt slots know how to provide players with what they want and provide it: the same exciting game experiences whether playing on your favourite mobile phone, iPad, tablet or desktop casino. Just because we love to play slots on our mobile, or browsing leisurely at home on our tablet, doesn’t mean we want to sacrifice our casino experience by playing sub standard mobile casino games. Net Entertainment knows this and boy does it deliver. 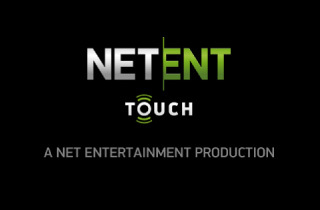 A little flashy for the more traditionalist online slot players out there, NetEnt Touch has taken the real money mobile slots world by storm. How? By delivering innovative popular NetEnt slot games which lose nothing in translation from the big online casino gaming screens to your smaller tablet and phone screen. Net Entertainment Touch is one of those mobile casino games software that are hard to fault. The graphics are outstanding, the bonus games are usually nothing short of innovative and the bonus features and functions are almost always guaranteed Entertainment – with a capital ‘E’. That and the fact that it’s table games and video slots are made to thrill the player in all of us, with a typical return to player rate of 95% or above, it’s easy to see why some of us are addicted to the thrill of their NetEnt Touch slots range. Like every casino software provider they have good slots and bad slots. Their selection of mobile games is also currently quite small but increasingly growing with their back catalogue of online slots making their way to the newer HTML more recently. Equally NetEnt Touch mobile slot machines appeal to the kind of slot player who likes to have constant action – winning smaller amounts of money, but more of them. So you get that constant high of winning, without actually winning very much, and even at times, simply losing slower. Don’t take us wrong, you won’t lose any more money on Net Entertainment slots than you will with any other game provider – simply that if you’re not careful, you’ll take longer to realise you’re actually on a losing rather than winning streak. However with the release of Mega Fortune Touch, the NetEnt casino software company are providers of one of the biggest progressive jackpot slots on mobile, often into the millions. That said, with the high payout rates, we’ve won big enough quite a few times on Net Entertainment games to know that the thrill is more than just hope – there is a real substance to the games. Not to mention that innovation is the real key here. With slot bonus features rarely seen on other casino slots and bonus games that are comparable to the desktop version, they put the fun back into online slot machines. Not only that but because of the popularity of some of their classic slots and 5 reel slots like Starburst, many NetEnt casinos offer free spins bonuses on sign up, including those in our recommended list of NetEnt casinos.